Downy Mildew is an obligate parasitic fungus, similar to powdery mildew. However, unlike powdery mildew, yellow splotches which gradually turn into brown splotches appear on plant leaves. 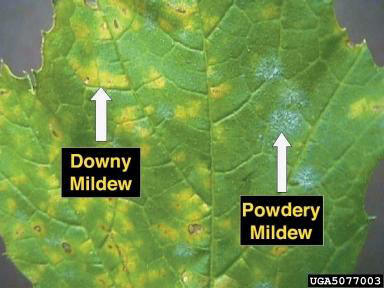 Downy mildew primarily targets leaves, leaving stems alone.